Fethard, is one of the best-preserved medieval towns in Ireland. 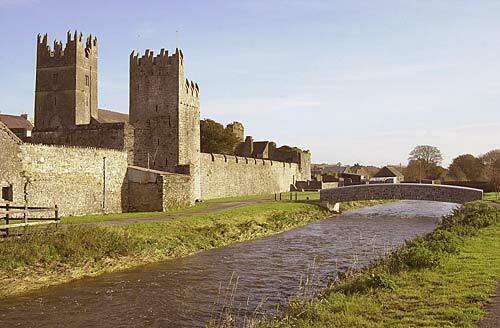 The history of Fethard began with the coming of the Anglo-Normans to Ireland. The town was laid out systematically, with a clearly defined market area, a conveniently located church and graveyard, and a regular pattern of streets. There is no evidence that Fethard was a place of settlement until around 1200 when the location was chosen by Norman lord, William de Braose, who had been installed by King John in 1201. 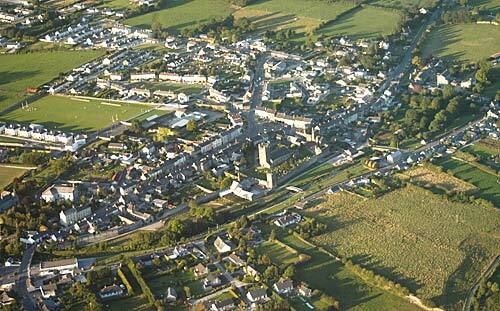 Many of the early inhabitants of Fethard would have come from de Braose’s vast estates in Wales (1185-1208). 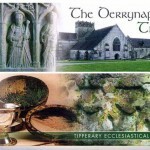 In 1215 the Crown granted Fethard to the archbishops of Cashel, and from written texts it is known that the town functioned as a market and trade centre. It remained part of the archiepiscopal estates well into the 16th Century, although it was renewed under the Everard family in the 15th Century – a prominent and prosperous Catholic family. Under the backing of affluent families such as the Everards, and others, Fethard flourished greatly. The east end of the town was the market place in which a ‘market cross’ existed in 1541 and where the tholsel stood. The street pattern would suggest that there were five gates originally and the surviving North Gate and mural towers date from the 15th Century although the first record of the walling of the town was in 1292. The town was granted the status of Corporation by royal charter in 1552. In 1647 Cromwell marched on Fethard, leaving it in a ruinous and pitiful state. In 1752, Thomas Barton of Bordeaux purchased the Everard estate in Fethard, demolished the old Mansion House and erected a new one on the same spot. The Barton Mansion House was acquired in 1797 and converted into a temporary military barracks. It was converted into proper military barracks in 1805. Following the abolition of the Corporation in 1840, the administration of the town came under the elected Town Commissioner who continued in existence until 1936 when administration transferred to South Tipperary County Council. Fethard and its environs has a current population of 1397 although the town serves a district population of approximately 3,500. The population of the town has seen a continued decline from 1971 to 2004. 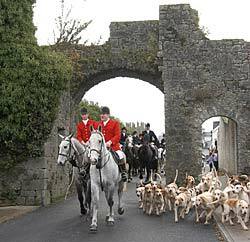 Conversely, the figures for Fethard’s environs have seen an increase of 16% over the same period. The Pre-Reformation parish church dates from the 15th century. The present building retains only the central nave and tower. 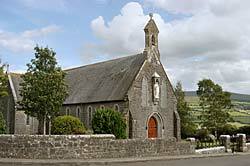 Fethard church was in the care of the Canon Regular of St. Augustine and was dedicated to St. John the Baptist. For one hundred and fifty years until the beginning of the 18th century priests ministered to the people in places of hiding or secretly from house to house. As soon as priests were licensed in 1704 and the penal laws less rigidly enforced, a chapel was allowed to be built outside the town walls in what is now the Monastery field. It was situated in the corner nearest the convent. 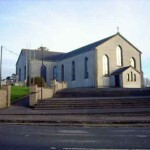 This chapel was repaired and enlarged in 1731 and served as parish church until 1819. Fethard Parish Church is Georgian in style with some Spanish influences in its façade. The site of the church, inside the town walls, was the gift of Mr William Barton of Grove, the local Protestant landlord at the time. To comply with the existing laws Mr Barton imposed a yearly rent of one shilling. In 1926 his successor, the late Captain Charles R. Barton of Grove, executed a deed in favour of Fr. John Russell P.P. remitting that rent for all time. The church was opened and the first Mass offered, on Trinity Sunday, 1819. Like its predecessors it was dedicated to the Most Holy Trinity. Dr. James Butler’s visitation lists for 1752 mention a chapel in Killusty. A small portion of its ruins are to be seen in the left corner of the present churchyard. The erection of the present beautiful cut-stone church was begun on 1st May, 1881. The church cost £2,000 and was blessed with great solemnity in 1882 by Most Rev. Dr. Croke. The Stations of the Cross, gifts from various parishioners, were erected on 20th July 1884. The annual parish pilgrimage to Holy Year Cross on Slievenamon takes place each year on the Feast of the Assumption of Our Lady, 15th August. The Holy Year Cross was erected by the people of the parish to commemorate the Marian Year and was blessed by the late Rev. Patrick O’Donnell, Archbishop of Brisbane, Australia, on 15th August 1950. The cross was made of wood and was illuminated both on Christmas night and Easter time using a lamp powered by wet batteries. By 1974 the wood of the Holy Year Cross had to be replaced by a concrete structure. The Augustinians Friars came to Fethard towards the end of the 13th or very early 14th century. The earliest reference to the Abbey is the confirmation by King Edward I, in June 1306, of a small grant of land to them for the purpose of “re-building their house in Fethard”. King Henry VIII suppressed the monastery in 1540. Fr. William Tirry, a native of Cork, came to Fethard c.1651 and was appointed Prior in 1653. 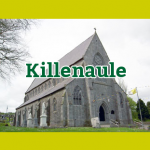 He was arrested in April 1654 and hanged in Clonmel on 12th May 1654, dying a martyr for the faith. The Fathers transferred from a thatched house opposite the church to a residence in the grounds of the Abbey in 1855. Having fallen into disrepair this was taken down in 1952. 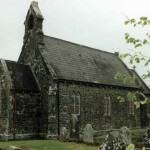 The Abbey church and its adjoining cemetery contain many historic tombs; most notable is that of the Dunboyne Family. On 13th June 1985 the Augustinians moved back to live in the Abbey grounds in a new house. In January 2000, due to falling vocations, the Abbey was in danger of closure but this was averted by the amalgamation of Callan and Fethard abbeys later that year. 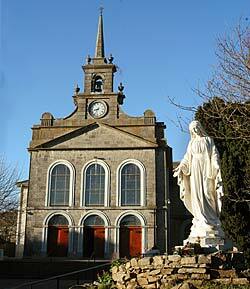 Fethard Convent was founded in 1862 at the invitation of Dean Cantwell, P.P. When they opened the school on 1st May 1862, ninety pupils were present, and within a few weeks the number had risen to three hundred. The foundation stone of the present convent was laid on 26th June 1869. The Sisters took possession of their new convent on 13th May 1871. A new school was built in 1872 and a full secondary school opened in 1916. In 1989 the Patrician Brothers and Presentation Sisters formerly agreed to amalgamate and the school is now known as the Patrician Presentation Secondary School. On Sunday 10th September 1978 the Nano Nagle National School was officially opened on the Rocklow Road and classes began the following day. Dean Cantwell invited the Patrician Brother to Fethard in 1873. Brother Augustine Holton and two companions arrived on 5th March 1873. Classes began on 18th March 1873 with over one hundred boys attending. The numbers increased rapidly and in 1875 a classical school, known as ‘The Academy’ was opened in the same building. Archdeacon Kinane erected a new National School on Rocklow Road in 1887-88. This three-room building was demolished in 1965 to allow the erection of a larger school, catering for pupils transferred from Coolmoyne National School, which closed in 1967. 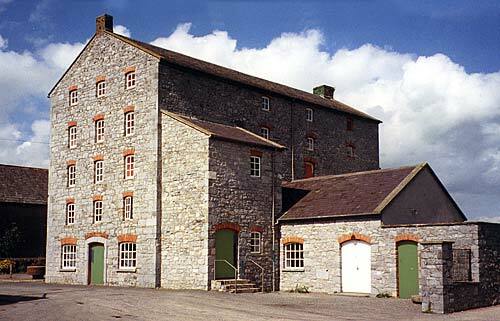 Coffey’s Mill stood empty and derelict for many years. It was built in 1791 and reconstructed in 1847 by a Mr. Richard Harvey. The mill gave employment to about 14 people and was used to grind corn but also included a creamery, bakery and shop which sold everything from groceries to hardware up to its closure in 1936. On Thursday 26th May 1988 the 150-year-old mill was reopened as a theatre. Seating 150, it now provides a venue for plays, musicals, bingo, large meetings and lectures. Horse breeding and training is an important industry in the hinterland of Fethard, which employs a large number of people and contributes greatly to the economy of the town and the outlying areas. Special mention must be made of Coolmore Stud, home to many of the most famous and most expensive stallions in the world of horse racing. The Folk, Farm and Transport Museum attracts some 8,000 visitors each year to its Cashel Road location. The centre is the brainchild of Christy and Margaret Mullins and it opened its doors for the first time on St. Patrick’s Day of 1983. Every Sunday a Car Boot Sale is held on the premises, which also incorporates a children’s playground. The first ‘Country Market’ was formed in Fethard on 17th January 1947. Today, Fethard Country Markets are still in operation. They currently have fifteen suppliers of whom seven attend the Town Hall each Friday between 8am and 11am. Community Information Office, based in the Tirry Community Centre, Barrack Street, provides an invaluable service to the people of Fethard and Killusty and is also home to the FÁS Community Employment Scheme since 1995. The scheme employs 11 participants used by the following local organisations: Fethard & District Day Care Centre, Meals on Wheels, Community Information Office, Tidy Towns and the GAA. For further information contact Tel: 052 31000.